A woman told police she could not give a breath sample because she was suffering from lung cancer but her medical records said otherwise. Sheila Milne (58) visited Pets at Home and appeared to be so drunk a member of staff called police when she was seen to enter a car. Police tried and failed to take a breath specimen and were told she could not do it because she had lung cancer. 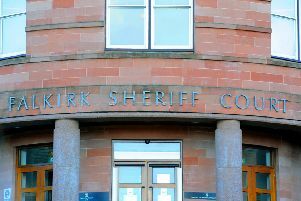 Milne, 2 Sunart Place, Grangemouth, appeared at Falkirk Sheriff Court last Thursday having pled guilty to failing to provide two specimens of breath at Falkirk Police Station on March 12. Procurator fiscal depute Ashley Smith said: “The witness was working at Pets and saw the accused standing near the till. She was slurring her words and there was a smell of alcohol on her breath. Police arrived at the scene and Milne was asked if she could provide a specimen of breath. “She didn’t provide a sufficient sample,” said the procurator fiscal depute, “She stated she had lung cancer. A medical record check revealed no sign on her having lung cancer. The court heard a sample taken from Milne some time later gave a reading of 118 microgrammes of alcohol in 100 millilitres of breath, when the legal limit is 22 microgrammes. Meaning she must have been well over six times the legal limit when she was behind the wheel of her car. First offender Milne, who has a problem with alcohol, had been at her sister’s birthday party before the incident and had fallen off the wagon in a big way. Sheriff Derek Livingston banned Milne from driving for 32 months and placed her on a supervised community payback order for two years with the condition she attend alcohol support and counselling. She was also ordered to complete 135 hours of unpaid work within six months.